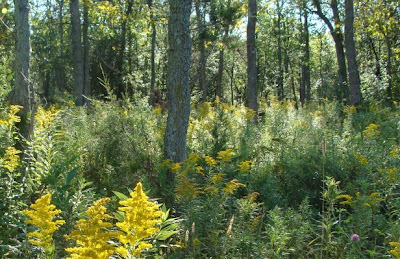 The woods are full of goldenrod (Solidago canadensis) and late summer sunshine. 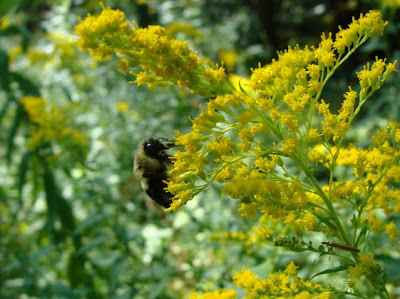 Insects are making the most of the flowers. The New England asters (Symphyotrichum novae-angliae) are also at their best. 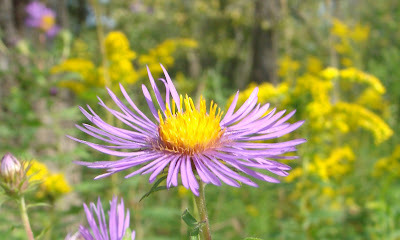 I love the purple and yellow colour combination of the asters and goldenrod.